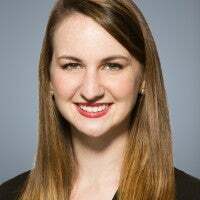 Sarah Roberts is a member of the Young Leaders Program at The Heritage Foundation. 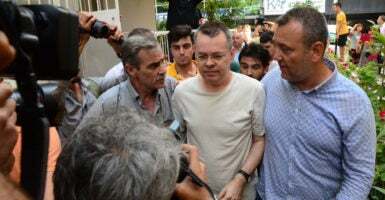 After significant international pressure from the United States and other nations, American pastor Andrew Brunson was finally released from prison to house arrest after a Turkish court ruling last Wednesday. That’s a step forward—but it’s not enough. Brunson, originally from North Carolina, had previously lived with his family in Turkey for 23 years while leading the small Resurrection Church in the coastal city of Izmir. He was arrested on Oct. 7, 2016, held in harsh prison conditions, and given limited access to his family, legal assistance, and U.S. consulate services. Two months after his arrest, Brunson faced charges of “membership in a terrorist organization” as well as participating in political espionage following the July 2016 coup. If he is found guilty, he could serve up to 35 years in prison. After attending his court hearing this past May, Sandra Jolley, vice chair of the U.S. Commission on International Religious Freedom, expressed her severe concerns about the existence of any due process for this U.S. citizen. The release to house arrest provides hope that Brunson may eventually be released. But his Turkish lawyer, Ismail Cem Halavurt, explained that Brunson is still not allowed to leave the country. Conditions worsened during the state of emergency declared by President Recep Tayyip Erdogan over a year ago. The state of emergency was lifted on July 18. Time will tell if conditions improve. Similarly, the State Department, in its International Religious Freedom Report for 2017, detailed suppression in Turkey by the state created through religious identifications on ID cards, over 50,000 arrests for alleged terror-related activities, and the unjustified seizure of various private religious properties. Turkey’s insistence on detaining Brunson has the potential to destabilize important U.S.-Turkish relations. If Turkey hopes to strengthen rather than further undermine relations between the two countries, it should swiftly release Brunson. Through the ministerial, congressional pressure, and executive influence, the U.S. should continue to raise Brunson’s plight and strongly encourage Erdogan and other countries to stop repressing people of faith.